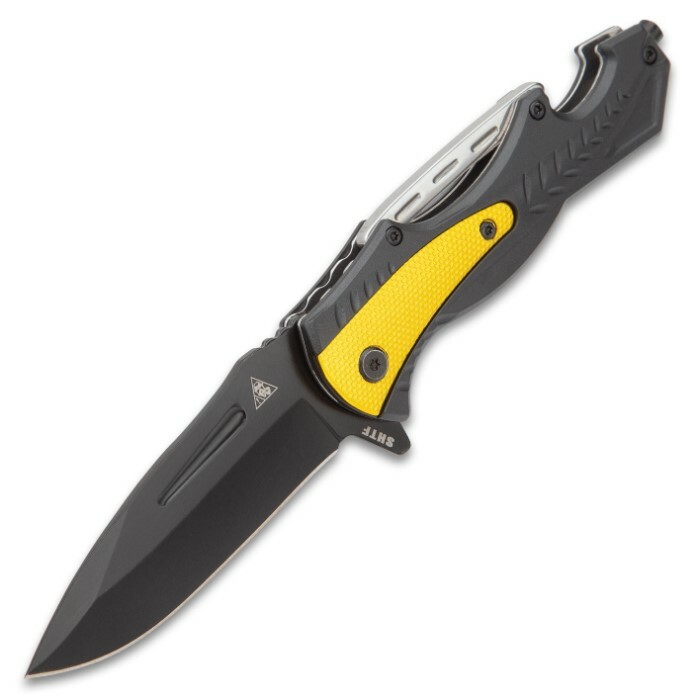 SHTF Yellow Jacket Assisted Opening Pocket Knife - Stainless Steel Titanium Coated Blade, Aluminum Handle, Window Breaker, Bottle Opener | BUDK.com - Knives & Swords At The Lowest Prices! 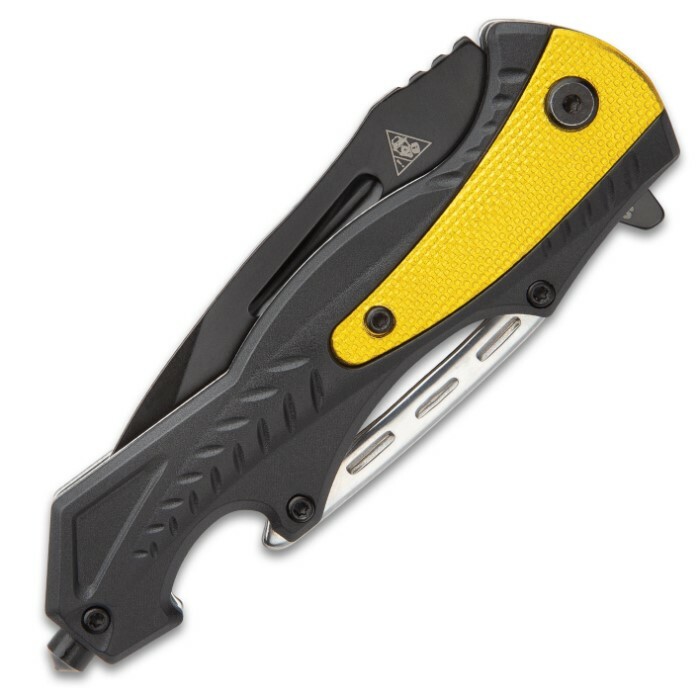 With its ultra-tech design, the SHTF Yellow Jacket Assisted Opening Pocket Knife looks like it came straight out of the future! This is the all-purpose everyday carry that our descendants will be carrying when they make those voyages into space. Lucky for you, it’s right here now! 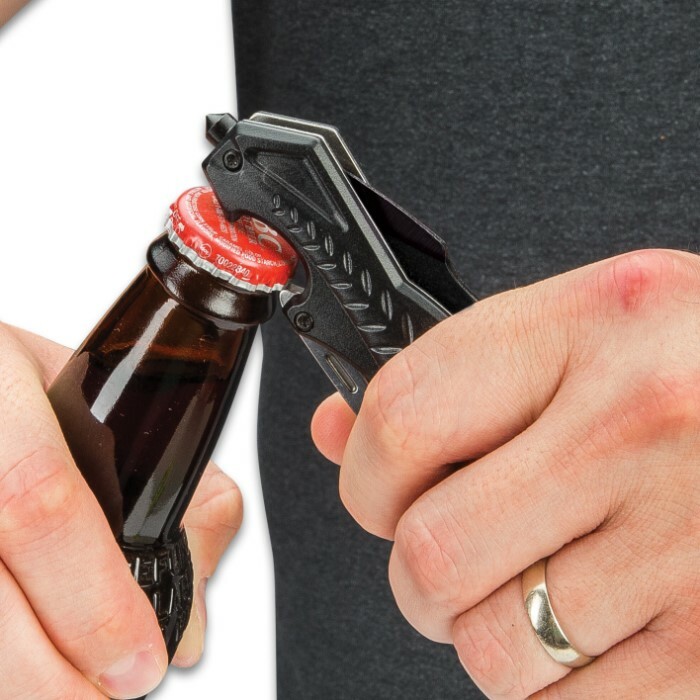 The ultra-tech style aluminum handle has TPU scales with a gold metallic accent and it features a glass breaker and bottle opener. The EDC knife has a keenly sharp 4” titanium coated stainless steel blade, which is two-toned with a gold edge and a textured, matte black spine. 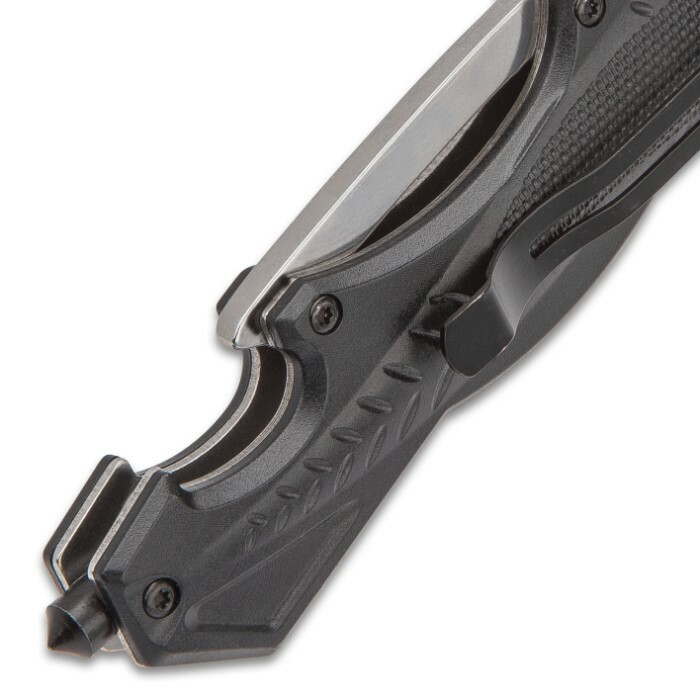 The blade can be quickly deployed with an assisted opening mechanism using either the flipper or thumbstuds. The pocket knife is 5” overall when closed and has a sturdy metal pocket clip to make carrying it a complete breeze. No need to wait for the future! Get it today! Bought this on sale for 5 bucks. I wasn't expecting much but it's pretty decent. I want to mention that it is larger than it looks. Decent blade and the flipper works really well. Only drawbacks are the mostly plastic handle (with an inner metal lining) and the lack of thumbstuds as advertised. Picture is accurate representation though.